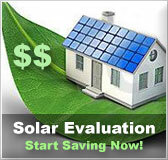 Minnesota residential solar energy incentives | Solar Panels | Solar Power | Site Map | Bookmark This Site! -This program was designed to encourage customers of Austin Public Utilities to install solar PV systems and connect them to the utility. -Customers who participate in this program will connect their PV systems to the utility’s distribution system and will be compensated for all electricity their system produces. -The incentive amount varies depending upon how much electricity is produced. Maximum amount of compensation is $1.00 per kilowatt-hour. -Eligible systems must have a capacity limit of 40 kWh. 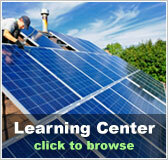 -The total value added to a home by a solar electric or wind system is exempt from real property taxes. -Wind systems with a greater capacity then 250 kW do not qualify for this exemption. -Solar systems such as solar water heat, solar space heat and photovoltaics are 100% exempt from state sales tax. -The “Certificate of Exemption” Form ST3 from the Minnesota Department of Revenue must be completed to claim this exemption. -Minnesota residents who wish to make energy efficiency and renewable energy improvements on their property are offered secured, low interest loans through this program. -Loan amounts range from $2,000 to $35,000 and have an interest rate of 6.25%. -Homeowners must schedule an energy audit through NEC (Neighborhood Energy Connection) to be eligible. -This program offers rebates from the Minnesota Office of Energy Security to Minnesota residents who have solar water heaters installed on their property. -Rebates are generally set at $30 per square foot of net aperture of a new system. -Rebates are also given to help with system repairs. No rebate will be issued if the system needs repairs due to lack of maintenance or if the system had previously received a rebate from this program. 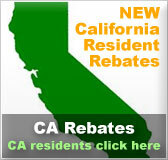 -Rebates for system repairs range from $1,000 (single family) to $3,000 (multi-family 4+ units). -This rebate program funded in part by Xcel Energy and is administered by the Minnesota Office of Energy Security offers state residents who install solar PV systems a rebate to buy down the upfront cost of the system. -Rebate amounts are set at $1.75 per watt DC if the system is installed by a licensed electrical contractor and $2.00 per watt DC if the system is installed by a NABCEP certified installer. -Residential systems are available for this incentive up to 5 kilowatts of capacity. -This grant is available through the Xcel Energy Development Fund for renewable energy development projects. 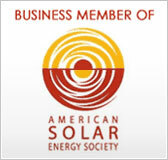 -Eligible technologies include solar electric, biomass, hydroelectric, renewable fuels and photovoltaics. -Many utility loan and rebate programs are available throughout the state of Minnesota provided by municipal cities and utility companies to help encourage home owners to make energy efficiency improvements. -Loan and rebate programs are available for customers who install renewable energy systems and purchase energy efficient appliances. -Customers participating in net metering in Minnesota are compensated by the utility for all the net excess generation their renewable energy systems produce for the utility at the average retail utility rate. -The compensation is issued as a check to the customer rather than a monthly credit. -System capacity must be 40 kW or less to qualify.